Nestled in our cabin bed, we woke at 6:48 a.m., startled by an announcement that we would cross the Arctic Circle at 7:09. Before Greg had even swung his bare feet onto the floor, Joan had sprung out of bed and begun to put on her cold weather clothes. By the time Greg had his socks on, she was almost ready to go out the door. Ready to cross over into the Arctic where her ancestors had once plied their trade as fishermen? One would say so. We stood, transfixed, as we passed a large metal marker in the shape of a globe, erected, almost easy to miss, on a small unnamed island off of the port bow. 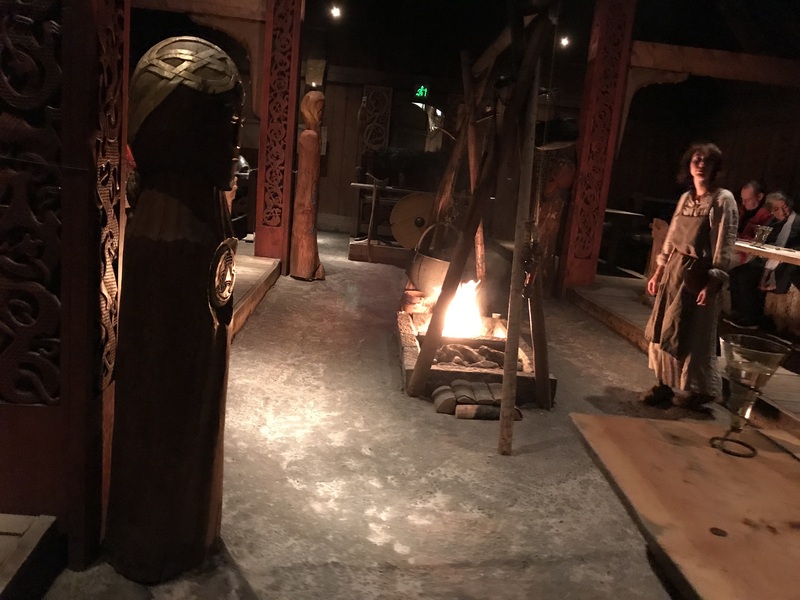 There was a small ceremony, attended by the god Njord, on the deck of the ship. In order to become a follower of this cold god, a sacrifice had to be made. Greg accepted a ladle full of ice down his back and was given cloudberry wine for his pains. Long ago, ancestors from the islands of Vikna and Leka would depart in their working boats, perhaps in a typical square-rigged nordlandsjekt, and fare to the Lofoten Islands, northern Norway’s ancient fishing grounds. Maybe they once sailed by this same little island, nets ready, anticipating their catch. Fishing in northern Norway was always a dangerous trade, and Joan can easily recount the ancestors who died in the effort to harvest the teeming fisheries of the archipelago. On this day Joan, descendant of hardy fishermen and their patient and fearful spouses, crossed a line so many had crossed before her. Some would not cross back over that line. One of them, Great-great Grandfather Ole Hagerup Bårdsen, a native of Hortavær, Leka, died on the island of Austvågøya in Lofoten and is buried at the churchyard in Kabelvåg. This, too, we had hoped to visit one day, in remembrance of ships full-laden with Norway’s “white gold” cod, or torsk, but also in memory of widows looking to the north, waiting for sails on the horizon, fearful they might not appear, anxious that a berth occupied on the voyage out would be unexpectedly empty upon its return. A noon port of call at Bødo took us to a rainy dockside. A short walk into town, guided by Justin and his GPS, brought us to a museum where we learned about the devastation of the central part of the city in 1940 as a result of German bombing. The little Nordlands Museet, small by any standards, nevertheless meticulously preserved the memory of a small city and a great devastation. The memory of war and of occupation is ubiquitous in Norway, a caution to the younger generations that freedom is precious, fragile, and often fleeting. Tonight, we participated in a “Viking Feast” in the tiny hamlet of Borg near the village of Bøstad in Vestvågøy, Lofoten. We traversed the landscape of the rugged island in the evening, traveling by bus over a spine of hills from Stamsund to Borg. The landscape was striking, with mountains reflected in lakes and pond and clouds and mist cloaking the hillsides. There were meadows and pastures, a rich land now, and in the past, when Viking chieftains ruled here. As evening fell we entered the Lofotr longhouse at Borg. The structure is a stunningly authentic reconstruction of a Viking chieftain’s residence. There we ate a substantial meal of potatoes and vegetables and delicious pork—a feast for we latter-day Vikings. Our hosts in Viking dress, did not stint the food and honey wine. Our Andrea volunteered to accept a challenge, one she most successfully accomplished. The chieftain of the feast announced then that henceforth in Viking lore she would be known as “Andrea the Mighty,” a nickname our family readily adopted for her as well. We listened to the prophetic, eerie words of a wise woman to the beat of a shaman’s drum. The lady of the house lifted her voice in song while the chieftain boasted of his coming adventures to Frankia and beyond. We were invited to dance around the fire and celebrate our good fortune and easy passage through these waters. We congratulated ourselves for our adventurous spirit, our queen beds and buffet lunches on the cruise notwithstanding. Still, mayhap, we deserve a little credit for abandoning the familiar and seeking out the novel and exotic. Maybe true adventure is beyond most of us, but the attempt counts for something. As it turned out, we passed momentarily through Kabelvåg on the bus ride home to meet the MS Spitsbergen in Svolvær. Joan had never thought to be here in her lifetime; indeed, as we later reflected, she may have been the only one of her family to pass this way in one hundred and fifty-eight years. 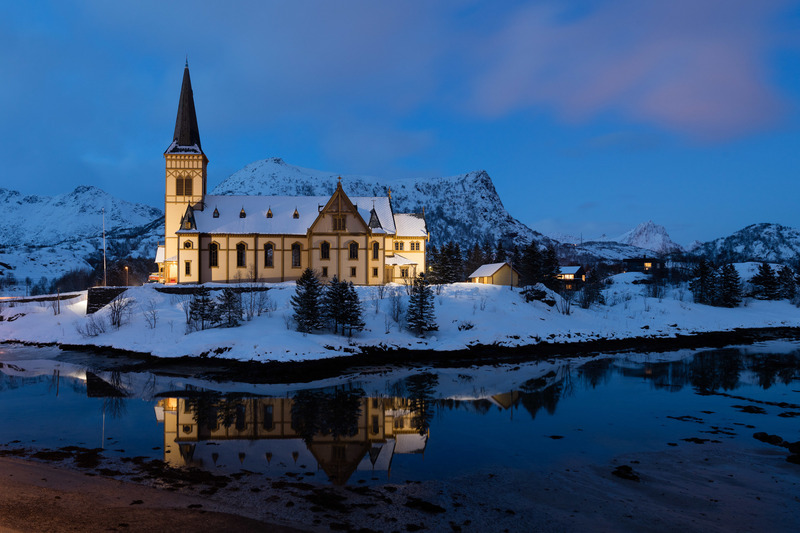 We tried to spy the churchyard in the gloom, across from the apt-named Lofotkatedralen (the Lofoten Cathedral) and thought silently of Grandfather Ole as we passed him by in the dark—our voyage continuing where his had ended. Let us think a moment of all those who went before, when the passage up this coast was a hundred-fold more perilous. Let us think upon a thousand or more years of sailors and fishermen in the Lofotens and drink a parting glass of honey wine to those who came home and those who did not. There was sun and blue sky in Sør-Trondelag this morning, a welcome respite from the wet and windy weather we had left behind in Bergen. In fact, the further north we voyaged, the better the weather became. Joan had become convinced that the Norse god Njörd was pleased that his children had returned to voyage upon his waters and was rewarding us with good weather. Njörd was, no doubt, the god invoked by her ancient ancestors before they embarked on fishing and hunting expeditions along the coast centuries ago. 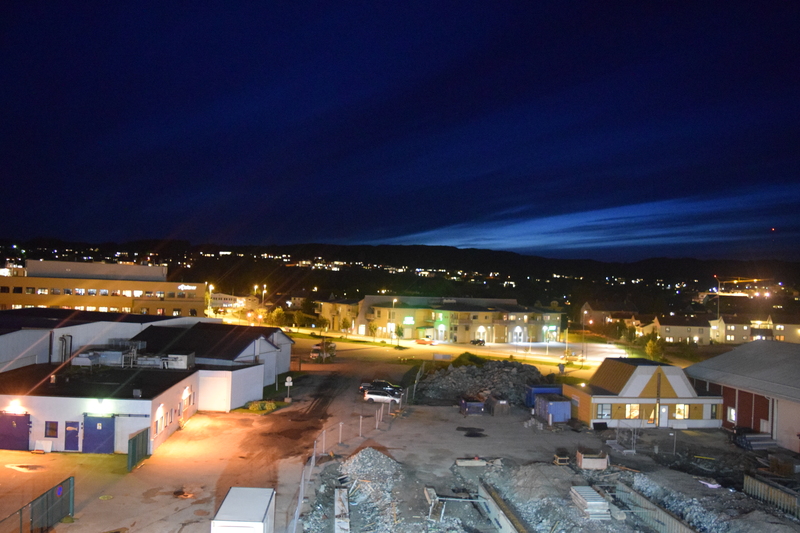 We had risen early, to eat breakfast and prepare for our morning excursion into Trondheim. This was not our first visit to the city; we had been here once before, for three days some fifteen years ago in 2003. 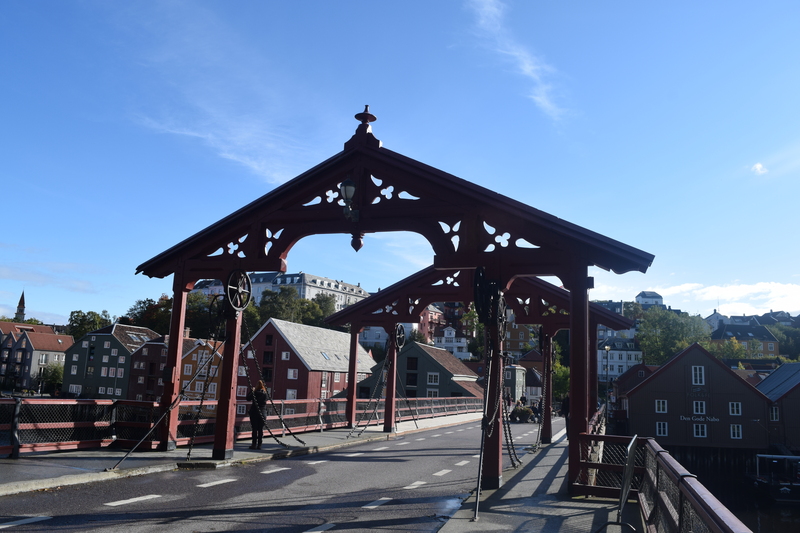 We had already crossed the Gamle Bybro (the Old Bridge) into the Bakklandet “old town.” We had been feted at the Erkebispegården (The Archbishop’s Palace) and stayed at the magnificent Hotel Britannia. One long afternoon we tried, and almost failed, to find the Sverresborg open air folk museum. There, in the old Haltdalen stavkirke, we listened to our tour guide, a young woman, unexpectedly sing an old Norwegian hymn in an ethereal soprano. Her angelic voice carried away the years, and in that moment we stood, transported back in time, assembled with the original congregants of the old wooden chapel. This time we had less than three hours, not three days. Such is the lot of the Hurtigruten traveler. The timetable rules. One embarks and disembarks on time, or not at all. Stragglers are left behind and must find their own way to the next port of call to rejoin the ship. In 2003 we had not been able to do more than wander the grounds of the Nidaros Cathedral, a magnificent gothic edifice whose foundations, reportedly the burial place of Olav II Haraldsson, better known as Saint Olaf, date to 1077. This time we were able to enter, on a Sunday, just before the regular congregants would assemble for services. Inside, at the entrance to the old Johanneskapellet, Joan lit a small taper in memory of her emigrant Norwegian ancestors, who had embarked from this city at the end of the nineteenth century. Here they had given up their old lives and walked, with hope for a better future, onto a ship bound for America. They had left their old homes and hearths, but not their history, behind them. Now, reflecting on that history, we are amazed at how entwined this city has been in the history of Joan’s family, a history whose true depth and detail we had not grasped the last time we were here. During that trip to Trondheim in 2003 Joan had spoken of the uncanny sense of belonging and familiarity the city held for her. Now we know that Trondheim was not just the point of embarkation for her more recent ancestors, Casper and Gjertine and young baby Martin, but the geographic hub of a family history that dates back to November 20, 1449, to the ennoblement of her distant ancestor, Örjan Karlsson Skanke, by King Karl Knutsson on the stone steps of the old altar at Nidaros itself. Now, walking back along the cobbled streets, with our son and his lovely wife, we cross the Old Bridge again. We wished, as legend has it, for good fortune and prosperity. We wished, particularly, to impart some sense of this deep and personal history to them—and any future descendants. We had been to Rørvik once before as well. In 2003 we made a long day’s journey by bus and local ferry. We spent a long afternoon visiting the little museum and spying the old white church at Garstad, where Joan’s grandfather had been baptized, in the distance. Tonight, we docked there for less than half an hour. It was hardly enough time then, and certainly not nearly enough time now. We didn’t even set foot on shore, and it was dark, after nine in the evening. 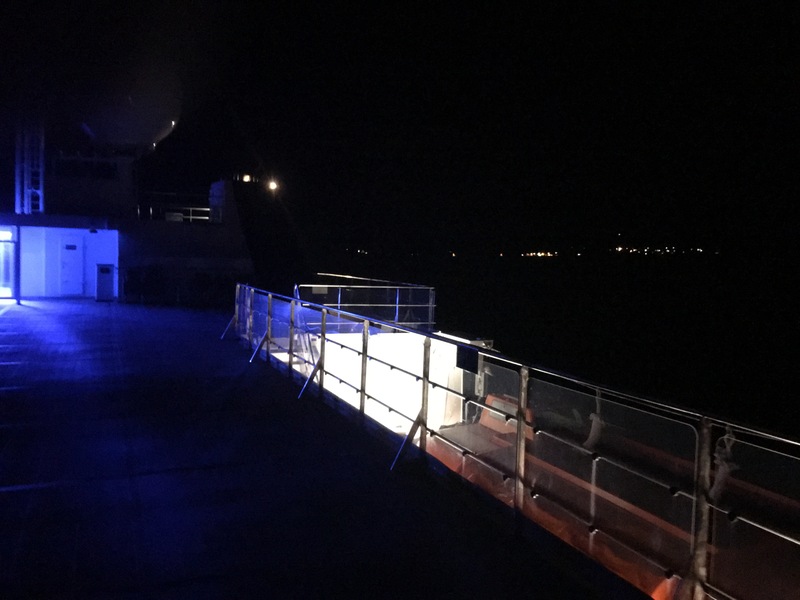 From the deck of our ship we could see the lights of the town spread out like a blanket over the low hills. But it is enough, and we promise ourselves another trip, another visit. And when we return, we will go inside the old church and will visit the old farm at Lysøen, where Grandfather Martin was born. In a little under two hours later, we bustled up to the open upper deck, Justin and Andrea having retrieved us from our cabin. Leka was approaching on the port side, westward, more quickly than we had expected. It was dark, and very windy at the bow, probably much colder, but maybe not much darker, than when Gjertine had stood on another deck in 1932, gazing out at the distant lights sliding by, waiting for a fleeting glimpse of home, long awaited, but quickly over. We, too, watched the distant lights all too quickly pass by. It was just a few brief moments for Joan, scarf wrapped tightly around her face and chin against the frigid breeze. There was a faint hint of northern lights above the island, in the darkness there, off the point of Skeisneset. In those moments Great-Grandmother felt exceedingly close. Eighty-six years is not so very long ago after all, not to a woman who would herself turn sixty-eight on her next birthday. Casper and Gjertine’s ship had passed Rørvik at 1:00 a.m. on that older journey. Gjertine had determined to remain on deck, waiting, peering expectantly into the northern darkness, looking for her lost, but not forgotten, home. 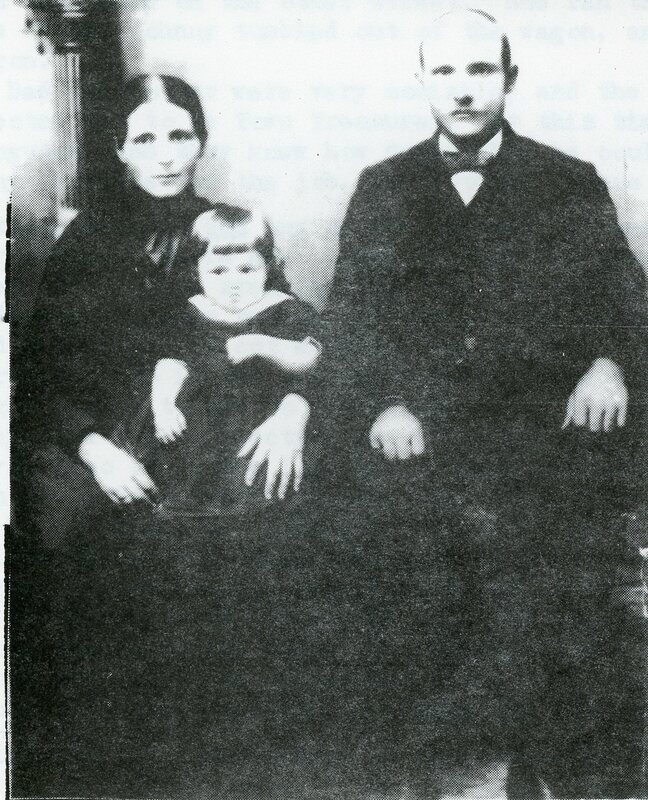 Gjertine’s family had lived on Leka since at least the late eighteenth century, and likely centuries before that. Here were her roots. For hours, as Gjertine waited, watching the ship move through the waters, she, like Joan, must have reflected on the passage of time. When she left Norway in 1887, Gjertine had been a young woman, just married, with a small infant son in tow. And now, as she stood on deck in the black Norwegian night, a seventy-six-year-old woman, she must have realized that this homecoming would be her last. A memory had been made in 1932 and, now, tonight, remade on the dark waters surrounding Leka. Tonight, a link had been forged between great-grandmother and great-granddaughter, and between a mother and her son. Gjertine, Joan, and Justin, sharing the same timeless space, upon the same cold waters, peering out into the same deep darkness. They inhabit a single entangled moment and are, impossibly, both together and apart; both far and near; both estranged by time and intimate in memory. Joan inherited a keen and abiding interest in the history of her (very) Scandinavian family from her parents and grandparents. She inherited documents, letters, photographs, and a variety of treasured heirlooms from both her Swedish paternal side and her Norwegian maternal side. 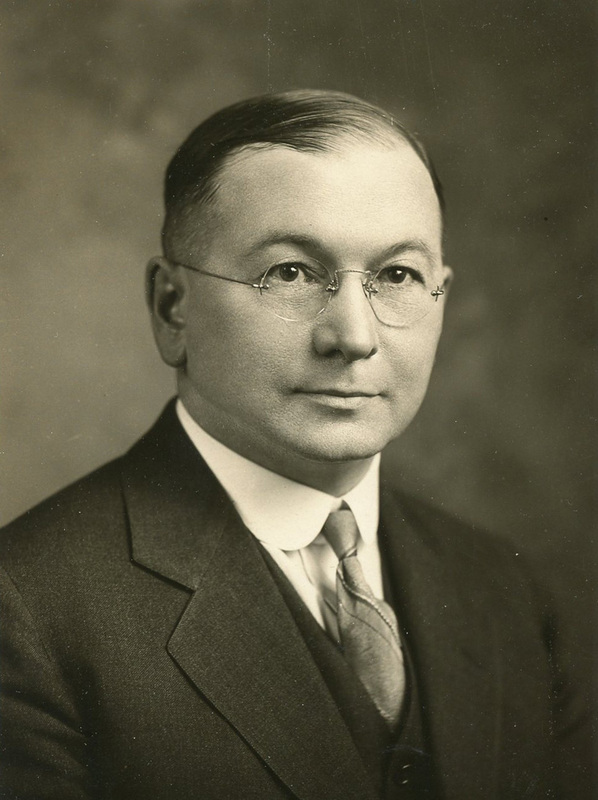 Family histories done the old way, from personal accounts and letters, library research, and maybe a paid researcher from the old country, were passed down along both lines. These treasured manuscripts—links to an exotic, fascinating past, shaped Joan’s lifelong interest in her Swedish and Norwegian family roots. But maybe it was the stories—most of all—that captivated her. To a young child, especially one as curious as Joan, stories of distant places and olden times bore a special fascination. Especially vivid in her active imagination was Norway. From an early age her grandfather, Martin Cornelius, had regaled her with tales of that far-off country. He even used to read to her in Norwegian—because he simply wanted her to hear the distinct cadence and tone of his birth language. Grandpa Cornelius also revealed to her the truth about the discovery of the Americas—a truth that all right-thinking Scandinavian-Americans know. He told her about distant Vikna, a group of islands in the north of Norway, where he was born. He told her about fishermen in the Lofoten islands, about shipwrecks, and about lives lost tragically at sea. He told her of his mother’s birthplace, Leka, a place that seemed unimaginably distant in both time and place to a young girl sitting fascinated at her grandfather’s knee. Leka was home to trolls and ogres—like the poor “Maid of Leka” (the Lekamøya) frozen in stone forever—although Joan’s family called her the “Leka Lady!” And it was home to a little girl, Svanhild, a relative of her grandfather, picked up, the famous story goes, by an eagle and deposited high up on a rocky crag. One can imagine the wonder in her eyes at hearing this tale—and seeing the evidence—because he even showed her a letter, all in Norwegian, from his second cousin Haldor Hansen with a picture of Svanhild inside! Stories—whether folktales, myths, legends, or the more personal narratives of our forebears recounting their triumphs and tragedies—have a greater longevity than we imagine. In Scandinavia, the oral tradition, the passing down of stories by word of mouth, was an important means of preserving history—the record of one’s ancestors and the recounting of their deeds, both great and small. Many such narratives have survived in Norway, about kings and jarls and farmers and fishermen, to be captured eventually in writing and passed down again in the great poetic sagas, in books and magazines and, yes, even in blogs like this one. Many stories have been preserved in Norway’s so-called “farm books,” the bygdebøker. Compiled over the last century, they contain not only the results of research into church records, land transactions, and wills, but the textual remnants of people’s lives, hints of tales not completely told, of mysteries yet to be uncovered—of a mysterious silver belt of tremendous value owned by a distant ancestor in Orheim—or about a murder on a lonely island in which one’s many times great grandfather might have been involved! What was this story? Was Joan’s 7th great grandfather really involved in a murder? Had Joan, a descendant of staid Lutherans for centuries, finally discovered a criminal in her past? Trying to solve this mystery, Greg, quite by happenstance, googled the name Melstein and thereby discovered a 300 year old story of dire deeds by moonlight, of unbridled human greed, and of dark violence. The story told below is Greg’s translation of a wonderful blog post by Norwegian journalist Torstein Finnbak, detailing these long ago events on Melstein (see https://finnbakk.wordpress.com/2016/09/10/hun-stikker-av-hun-stikker-av/). Many thanks to Torstein for reading over this translation and allowing us to publish it. She’s running away, she’s running away! Melstein 1692: Four men were brutally murdered. The heroine of the drama is a 14-year servant girl who ran away, risking her own life. A February night in 1692 unfolded into an eerie drama on the small island of Melstein in Helgeland when four men were brutally murdered. 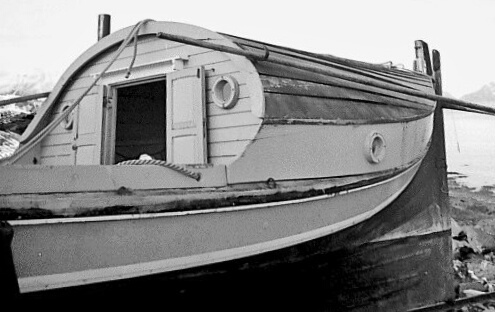 A boat crewed by four men decided to seek shelter at the farm owned by Sjul Paulsen and Anne Pedersdatter on the island of Melstein. It proved to be a fateful decision. This article is based primarily on interviews recorded in 2013 with writer and folklorist Dag Skogheim (1928-2015). 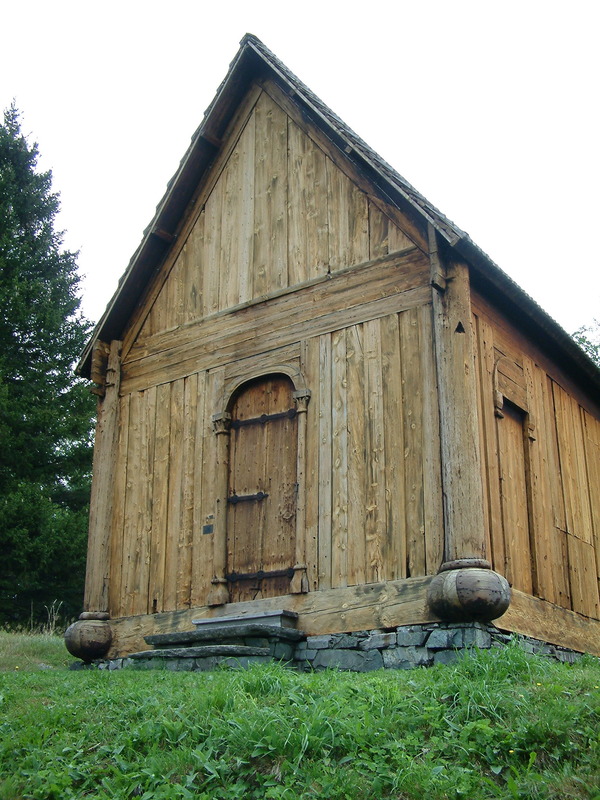 Dag himself was from Southern Kvaløya in Sømna, just a few kilometers from Melstein. He knew very well the story of the murders that transpired there. In the 1970s he collected several variations of the murder legend, including one told by his grandfather. He also wrote also a short story on the subject, which was later dramatized. Melstein or Steine as it is often called, is just a few kilometers from the western side of South Kvaløya in Bindalsfjorden, roughly midway between Sømna and Leka. So, this is the history and legend of Anne and Sjul, a couple who robbed and murdered four men on Melstein in 1692. In the book Farm and Family in Bindal, Melstein is referred to as “the most marginal farm in Bindal.” Melstein was a simple cotter’s holding, a husmannsplass. The mountainous island is only a kilometer long, offering the possibility of earning only a very scant livelihood. Those who lived there in the 1600s had very little livestock, outside of a few sheep and maybe a cow. These were truly destitute people, living mostly by fishing. There are no sources—at least none known—that relate where Anne and Sjul originally came from. 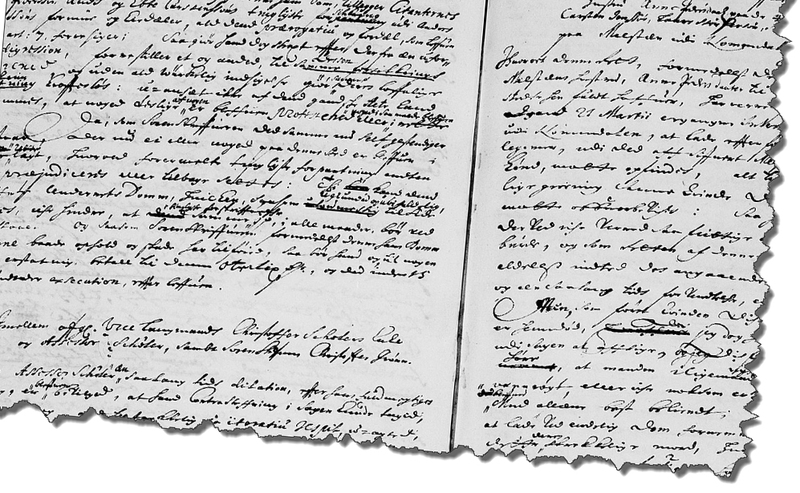 Church records indicate that Anne Pedersdatter and Sjul Paulsen were married in Solstad Church in 1682. Sjul was listed as a værmann (fisherman) and bruker (farm holder) in Melstein from 1682 to 1693. At the time of the murders the couple had lived on the island of Melstein for ten years and may have been about 30 to 40 years old. They were childless. Whether they had previously committed any other murders or crimes has not been discovered; so one can only speculate. 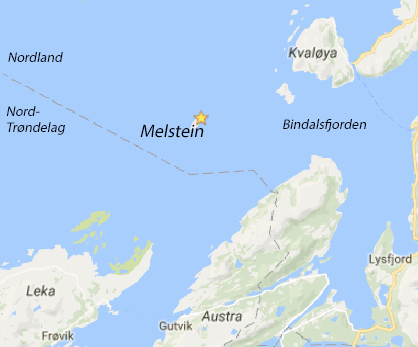 Melstein was an isolated place, but lay right along a shipping channel. Boats would sail by just a stone’s throw from the island. Anne and Sjul’s house was tucked into a cove at the northern end of Melstein, a location where, in later times, there were also other houses. The later inhabitants of Melstein were not related to Anne and Sjul. The cove had a small earthen bank behind it. Practically speaking, there really was no other place where one could have erected buildings. The barn on the property must have been close to what was once a marsh. There are, in fact, stone slabs at a place where it was natural to build a barn, about 50-100 meters from the house. 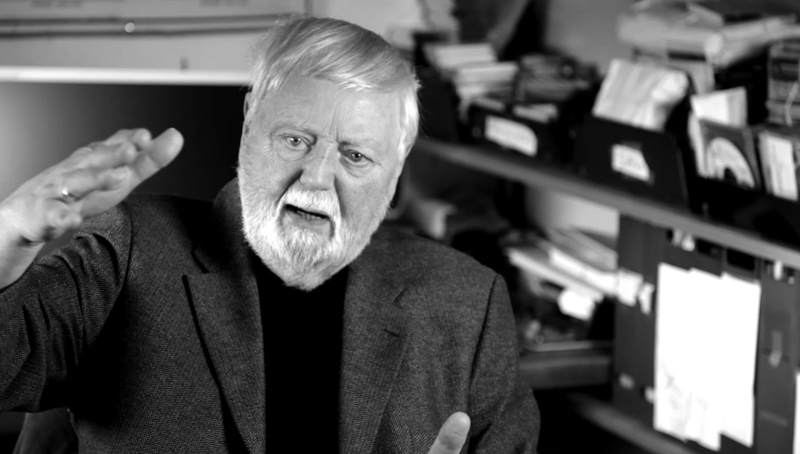 Through documents, articles, and not least, Dag Skogheim’s interviews with people who have related the legend of the killings, the events that transpired on the island are well described. A ten-oared boat is sailing south. Four men are on board, Karsten Jensen, Lars Størkersen, Størker Olsen and Lars Larsen. 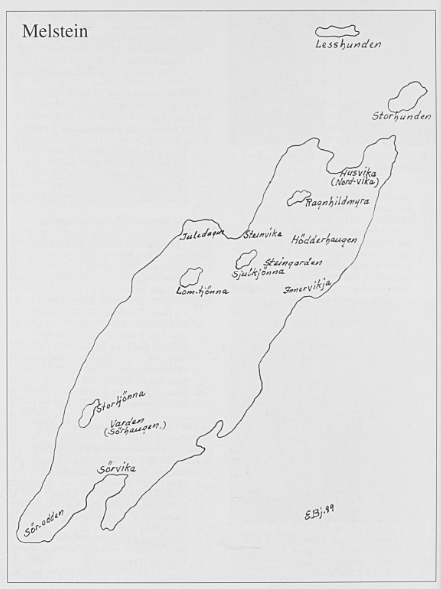 All of them are from Grønnøy in Meløy, further north in Helgeland. Between Kvaløya and Leka is Melstein. The highest point on the island is 29 meters above sea level. 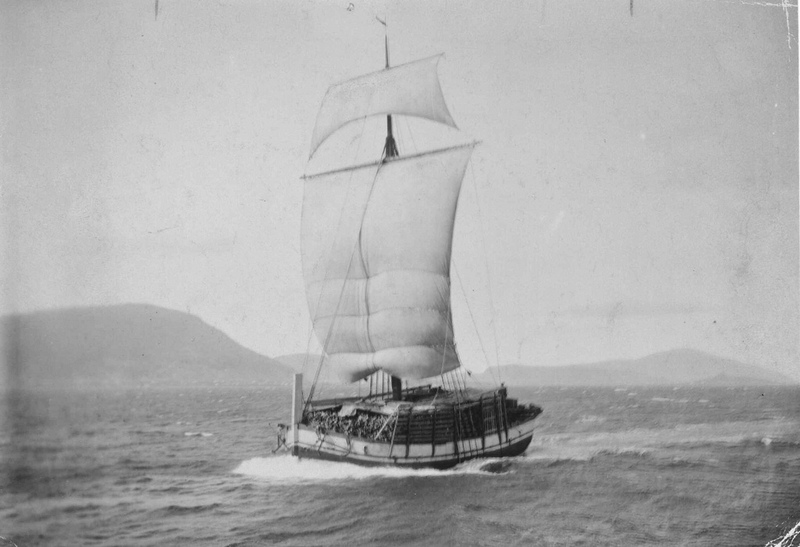 Presumably these men were on their way to Bergen, but some sources say they did not intend to sail further than Trondelag and the Meløy district to buy and sell goods. There is no place, really, to store great riches in a ten-oared boat, but there may have been, among other things, equipment, money, and some silver. 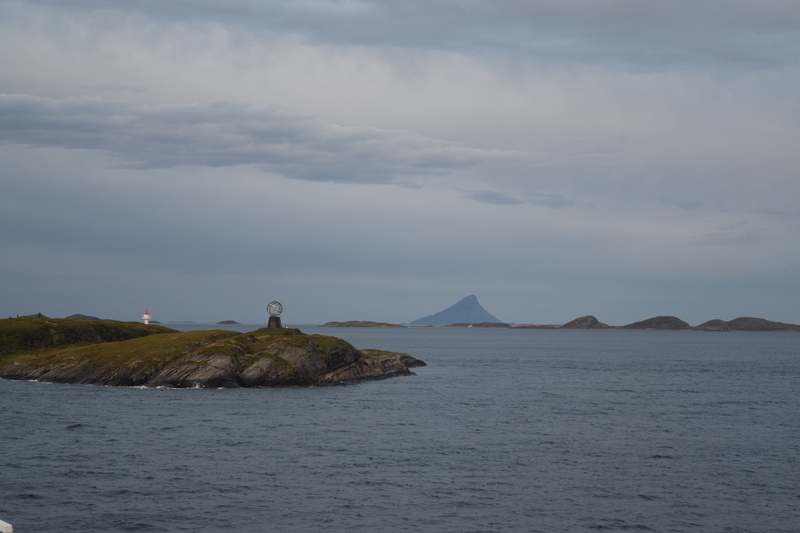 In South Helgeland seafarers can encounter difficulties with the weather. Probably there were winds off the shore as well as easterlies. On the fjord between Vennesund and Holm easterlies can be especially problematic. Landing on Melstein in such weather would have been quite difficult. The four beached the boat on the seaward side, the only place they could land given the east wind that was blowing—and then they came up onto the shore. Map of Melstein from Farm and Family in Bindal, Volume 1. Anne and Sjul’s house was probably in Husvik, in the north of the island. There they ran into Anne and Sjul along with their maid, or perhaps foster daughter, of 14 years, Anne Jonsdatter. 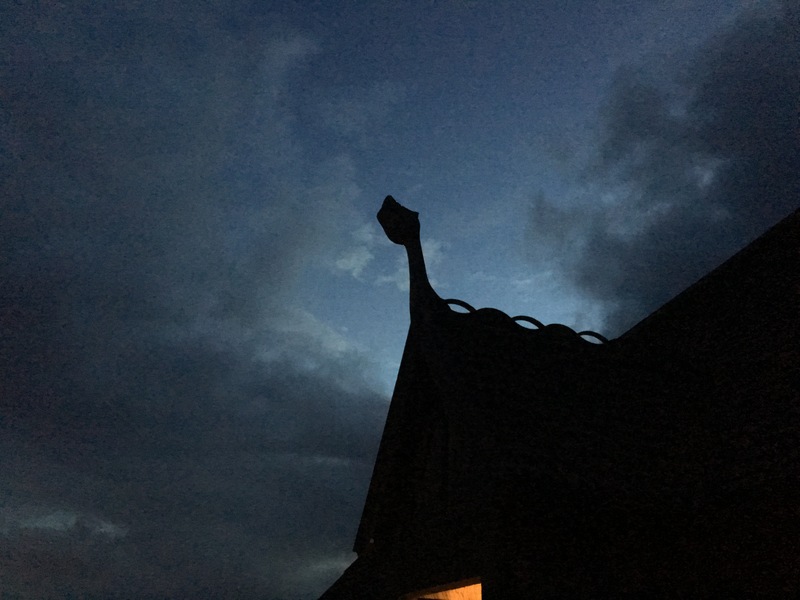 The three inhabitants were greatly astonished by this late evening visit. There is no space inside the hut. Anne and Sjul have no lodging to offer these visitors other than the barn, where there is hay they can lie down on. Without a doubt, they have also taken their pelts from the boat along with them. There is nothing in court documents that indicate that these men protected themselves or kept watch. They fell asleep. They were tired, having maneuvered the longboat ashore against a hard easterly wind. It was difficult to moor the boat in the wind—they were at risk of life and limb. The four men probably didn’t discuss the landing much—they were tired, and there was still a long way to go to reach Leka. So they simply decided to go ashore on Melstein. Their boorish behavior and belongings soon revealed that the visitors had not come empty-handed to the farm. They have with them many valuable things. Anne and Sjul have probably speculated, imagining what these four possessed. Some of the men have perhaps bragged too much, or foolishly displayed their belongings. Anne and Sjul began, perhaps, to fantasize and become more and more tempted. If they could take what the men had, they figured, maybe it would secure their future. Here, now, it seemed there were riches that they could take and use. 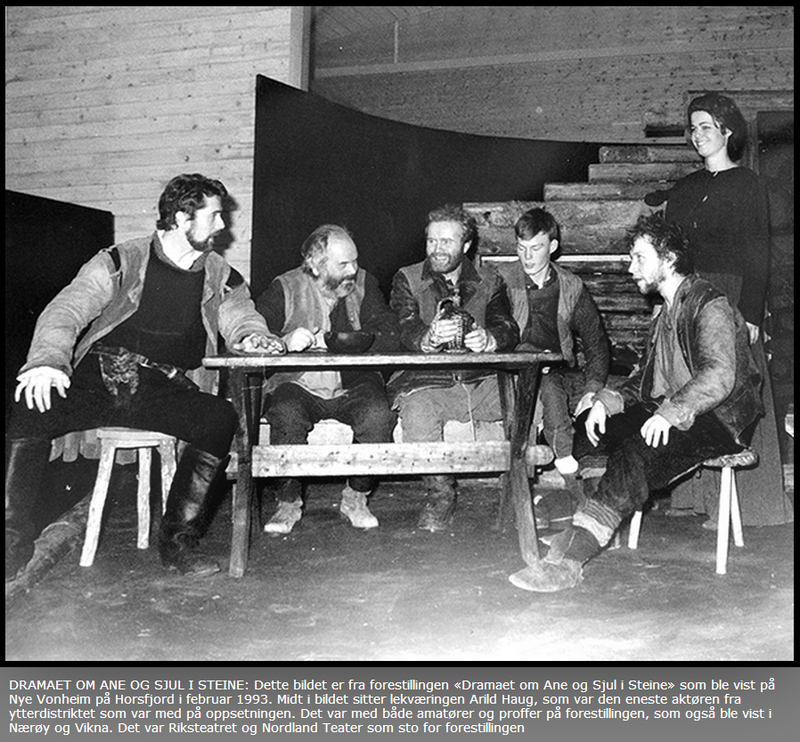 A 1993 production of the Nordland Theatre and National Theatre, The Drama of Ane and Sjul in Steine based on the novel by Dag Skogheim Photo: The newspaper Ytringen. Two men were tossed into the sea. Two men were sunk in a boggy marsh on the island. The next day Anne and Sjul were breaking open casks they had taken from the boat’s hold when the foster daughter discovered blood on the grass in the field. When she asked the couple about it, they threatened her life. 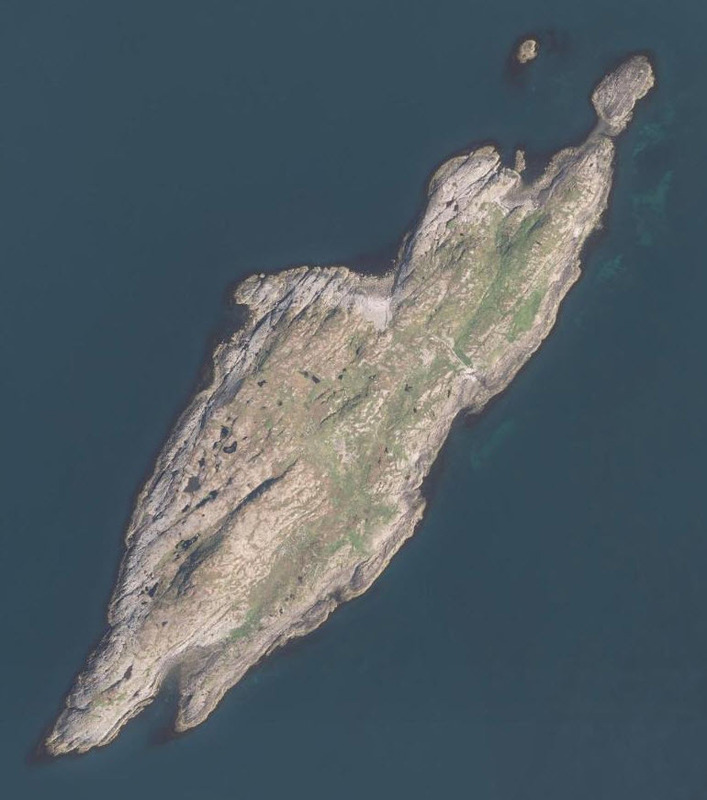 A few weeks afterwards, neighbors Torger Jonsen and Jørgen Sjursen visited from the island of Gimsen. Sjul told them that he had found a boat and some debris by the seashore. The two men agreed to keep this find hidden from any others and divide up the spoils. They helped Sjul chop the ten-oared longboat into pieces, and then these two neighbors took the ship’s sails home with them to Gimsen. And, of course, she also had no one to tell this story to. Skogheim believed that no one had any errands requiring them to visit Melstein. 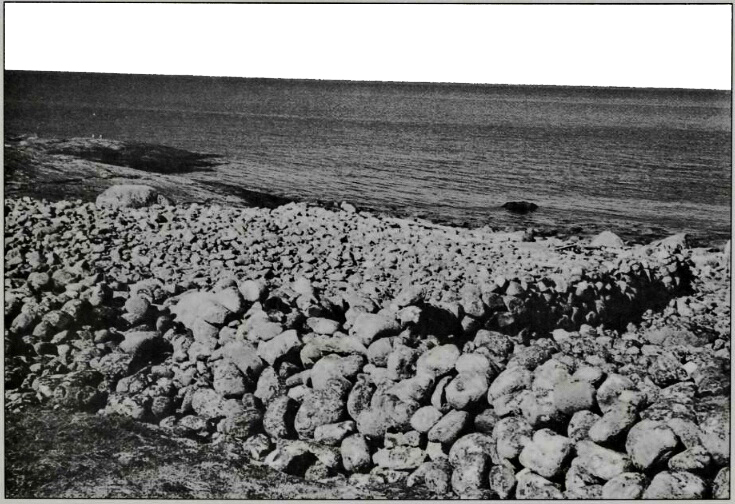 The few who could possibly have landed at Melstein during the spring and summer might have been occasional fishermen who went ashore temporarily to eat the food they had brought with them. But, most likely, this was not a place people had any reason to go to. The tense situation with the girl continued throughout the spring and summer. There must have been things they had stolen that she saw, but she couldn’t talk about them. After the murder there must have been many occasions where she had seen things they had taken from the boat that couldn’t be hidden. 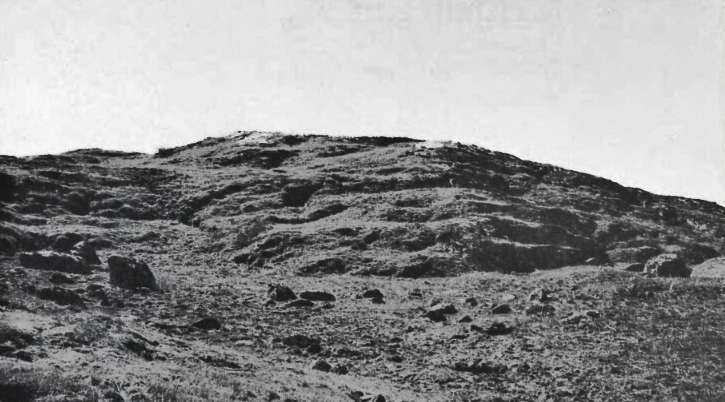 It is certain that the sheriff in Leka went out to Melstein to investigate early on, very soon after objects began to appear that had come from the ship’s hold. Anne and Sjul had tried to sell them. The sheriff went there that first time but had to come back empty-handed, without proof. At home in Grønnøy, where the missing men were from, people start getting worried about the boat that had never come home. There was a lot of relatively dense boat traffic along the shipping channel, and rumors started up about the longboat crew that had vanished without a trace. Records mention, particularly, that the father of one of the missing men had initiated an inquiry into the fate of the crew. So it’s finished now. In court the foster daughter relates all of the sinister events. Sjul confesses. Anne never does. The two neighbors who shared the plunder, apparently in the belief that it had just washed up on the shore in the boat, are only sentenced to fines. Both Anne and Sjul were sentenced to suffer the ultimate penalty, the breaking wheel. The two of them were to be killed and dismembered in Trondheim. But both died in prison before the sentence was ever executed. However, the bodies were still treated according to the final judgment. 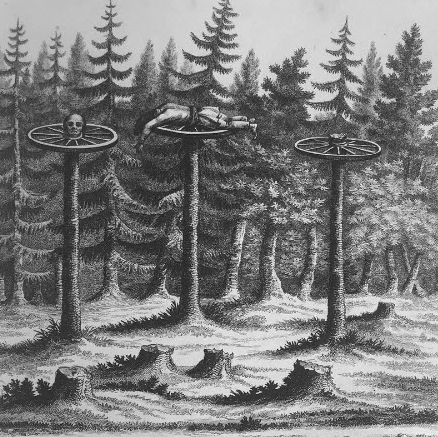 The Trondheim Assembly Book of Judgments says that they were broken on the wheel and that on the 14th of August 1694 there was a request that the city rakker (night men) remove the bodies and bury them in Galgebierg, since they could not be buried in consecrated ground. Galgebierg was at that time a place in Trondheim lying just outside the city walls, at the foot of the Steinberget Ila. Whatever happened to the foster daughter, Anne Jonsdatter? It doesn’t say. A poem about the murders by Sigrid Wågan is on page 59 of the book Hverdadsdikt (not translated). både storkar og faranes faint. som i skavere plagast å fraus. Sources: Arnt Ragnar Arntsen and Torstein Finnbakk: Interview with Dag Skogheim, Levanger 2013. Farm and Family in Bindal, Volume 1, page 165. Sømna Bygdebok, Volume 2, page 80. It happened in Melstein 1692, article by Arnt O. Åsvang in Yearbook Helgeland 1973. Gunnar Solum: Adventure Coast: From Å to Træna, page 58.